The 2016 motionball Marathon of Sport Ottawa was a huge success welcoming 18 Teams and over 200 young professionals to Carleton University! Thanks to their incredible support, we tripled last year’s fundraising total, raising $27,000 net in support of the Special Olympics Canada Foundation! Participants enjoyed a fun day of athletic competition as they teamed up alongside local Special Olympics athletes and competed in a variety of sports & activities including basketball, soccer, bocce, ultimate frisbee, bench ball, and an intro to CrossFit! Learn more about this fun-filled day of sport, below. Stay tuned to see the photos! The playing field wasn’t the only place where athletes competed. Each team of 10 participants raised a minimum of $1,000 through pledges. Thanks to their incredible support, we crushed our goal in support of the Special Olympics Canada Foundation! an Under Armour t-shirt, motionball hat, water, breakfast courtesy of Ottawa Bagel Stop & Starbucks Old Ottawa South, Pita Pit lunch, appetizers at the Marathon of Sport after-party, fundraising incentives, and most importantly, a chance to play with the Special Olympics Ontario athletes who motionball proudly supports! To sign up as a Team Captain and pre-register your Team for the 2017 motionball Marathon of Sport Ottawa, please email julie@motionball.com. For your company, this event is about team engagement, community building and meeting the cause on the ground. It’s also an incredibly rewarding day of fun. To learn more about Sponsorship Opportunities for the 2017 motionball Marathon of Sport Ottawa, please email Julie at julie@motionball.com. 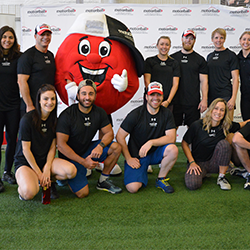 motionball waas proud to donate 70% of the funds raised from this event to Special Olympics Ontario. This funding is directed to support programs for local athletes in the community. The remaining 30% is directed to the Special Olympics Canada Foundation, whose mission is to ensure the long term financial integrity of the Special Olympics movement in Canada and to fund long term athlete and volunteer growth. 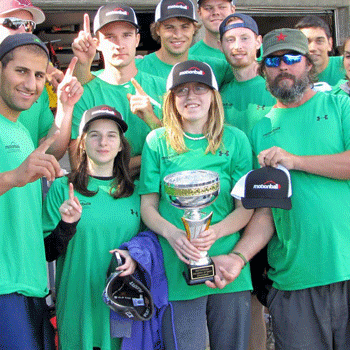 motionball’s mandate is to introduce the next generation of volunteers and donors to the Special Olympics movement through integrated social and sporting events. 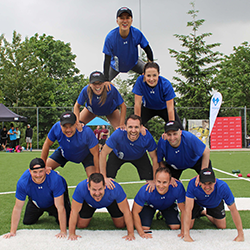 motionball now hosts 12 annual Marathon of Sport events in 12 cities across Canada, with over 380 teams and 5,000 supporters. motionball is proud to have donated $6M to the Special Olympics Canada Foundation since our inception in 2002. To learn more about motionball, please click here.